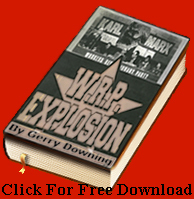 In early March, the New Age ran an article announcing that the APC had established two branches near Marikana – one in Wonderkop and another in Mooinooi. It quotes Themba Godi claiming his party to be the formation of choice among mineworkers in the Rustenburg area. Ledwaba’s depiction of Human Rights Day, however, would seem to dispute this assertion. Speaking to The Con some months later, Godi said his party was poised to set up a regional structure for the Bojanala district in a province the party has identified as a growth point. He said addressing the challenges of communities living next to mines had been on the party’s programme of action since December 2011 when it elected officials in Mangaung. “In our action plan for the NEC, we set about going to all those areas in the North-West, like the Moses Kotane area to see if communities benefit from the mining,” said Godi. 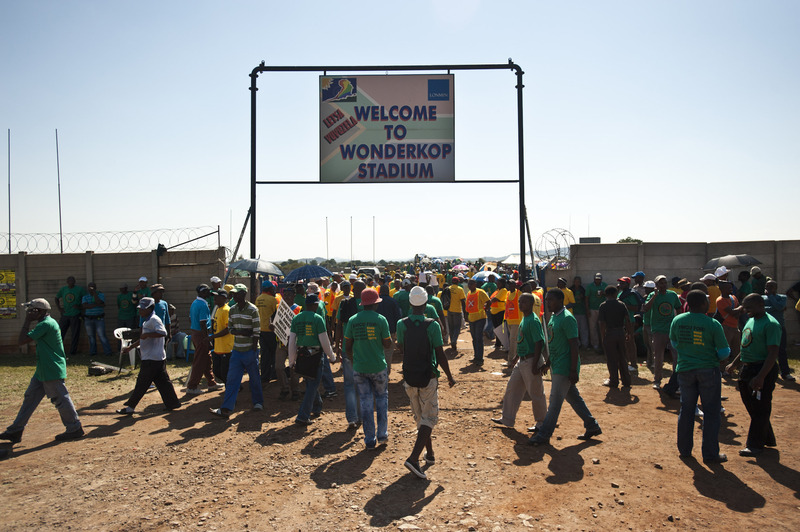 Ultimately, any hope for the left in Marikana depends on the type of union Amcu will be. In his rhetoric, Amcu president Joseph Mathunjwa espouses socialism; hectoring on about turning the tables on the capitalist class and nationalising the mines for the benefit of posterity. In its trajectory to the top and in its attitude to bargaining infrastructure, however, the union has sought to safeguard the very same status quo that rendered the NUM ventricose and lethargic. Ngwane said the DLF, which operates as a broad coalition, had seconded two comrades to be based in Marikana on a long-term basis, workshopping the strike committees that had joined the ranks of Amcu. The nearly defunct National Council of Trade Unions (Nactu) is only too glad to claim Amcu’s recent victories. In recent history, it has shown itself to be administratively inept and suffered a crisis of ideology, seeking to merge with white-collar federations such as Federation of Unions of South Africa (Fedusa). “The absence of Nactu affiliates that have significant membership such as Mewusa [Metal and Electrical Workers Union of South Africa], Sacwu [South African Chemical Workers Union], Peu [Professional Educators Union], Mwasa [Media workers Association of South Africa], NPSWU [National Public Service workers Union] and Hotellica [Hotel, Liquor, Catering, Commercial & Allied Workers Union] with [their] banners and t-shirts was vocal,” said Nkrumah Kgagudi, PAC member and former general-secretary of the Nactu-affiliated Mewusa. 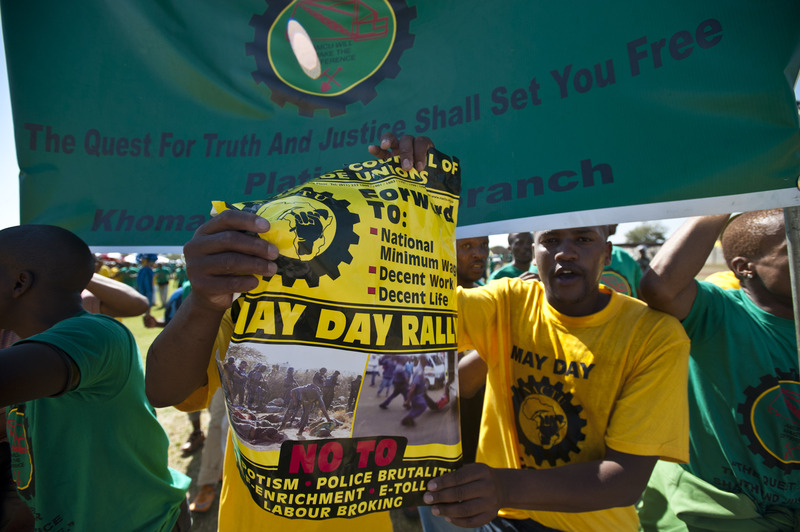 “Amcu did not dominate the May Day rally, it was the only trade union affiliate of Nactu [present]. Evidently Nactu leadership dismally failed to organise the entire industrial and public sector workers on a common and basic principle of working class unity and solidarity. In the last three years, Nactu lost the majority of its officials and closed all provincial and regional offices due to financial crisis and the absence of transparency and accountability,” Kgagudi explained. “Consequently, due to financial crisis, poor and authoritarian style of leadership it suffered the loss of key officials such as Mahlomola Skhosana (former deputy secretary-general), Siphiwo Gangca (labour market analyst), Brenda Modise (gender co-ordinator), Moemedi Kepadisa (national education co-ordinator), provincial co-ordinators and other administrative staff. Amcu’s leadership situation should not be a case of one labour aristocracy replacing the other, [the other] being NUM. History shall answer that question very soon. Nactu’s growth and its rise, is dependent on it being freed from a labour aristocracy that has a stranglehold on the federation, suffocating any form of progressive organisation and mobilisation of workers,” Kgagudi concluded. While activists like Ngwane correctly point out that “Marikana shocked the ordinary ANC working class member, most certainly those employed in the mines,” what the Sharpeville Day and the May Day rallies clearly showed was that Bantu Holomisa still captures the imagination of the platinum belt and a fractured vote is likely to benefit the UDM. This is about as strong an indictment of the left as Marikana is of the ANC.